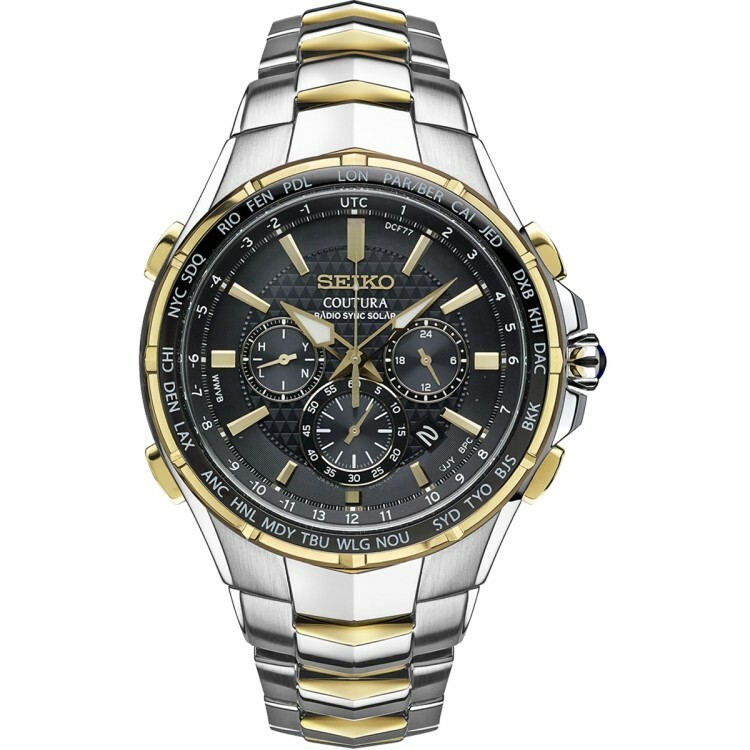 Seiko Coutura Radio Sync Solar Chronograph. This bold men's watch is designed with a two-tone stainless steel case and bracelet and a cabochon crown. The bold grey dial features lumibrite hands and markers, a date calendar and three subdials with gold highlights. The grey bezel includes a world time function featuring 25 time zones. Radio-controlled, Radio Sync Solar Chronograph automatically receives radio signals to precisely adjust the time and calendar signal reception and result indicator.